Shane Jones has NZ Super Fund, ACC, KiwiSaver and iwi in his sights. Infrastructure Minister Shane Jones is plugging for greater investment by the "NZ Incs" — the New Zealand Super Fund, ACC, KiwiSaver Funds and major iwi — in public infrastructure, and the creation of an independent standalone agency to accelerate progress. "As the Infrastructure Minister, I've got a strong feeling that as we've increased the amount of dough going to the Cullen Fund, I think there's a stronger case for NZ Inc investment in this field," Jones said. "If we can use the pools of cash from ACC, KiwiSaver and the Cullen Fund I'll do it tomorrow. It's just a matter of how do you stay on the right ideological side of the line of privatisation while still using the innovation of the private sector? It's work in progress." Since the 2008 Global Financial Crisis, New Zealand's population has grown by around half a million people — half of which was during the last three years. This has increased national demand for roads and passenger transport, particularly in Auckland, as well as more housing to accommodate the surge in population, schools, hospitals and even prisons, along with more commercial buildings. At this stage the country just can't keep up. With Finance MinisterGrant Robertson keen to keep NZ within the targets he has set for reducing Crown debt, and much of local Government facing funding constraints, new options are needed. Infrastructure New Zealand has led the debate. There is now a growing consensus that when it comes to public infrastructure, the Government should set up a standalone infrastructure agency. Jones is on-song: "Since I took on the portfolio I've been keen to move infrastructure out of Treasury and give it greater visibility in the form of a standalone agency. "I've always felt that given that Jacinda (Ardern) gave me this role, there's no point holding it unless you're going to use it and try to deliver something that the industry and local government as well, has wanted." The Infrastructure Minister has been pushing a paper through Cabinet and was hopeful that by the time he gets to speak to Infrastructure NZ's Building Nations Symposium in Auckland tomorrow, a preferred position will have been reached. "As an advocate for better treatment of infrastructure issues, I think it needs to be a standalone agency. "That's what I've rooted for." He stresses that using private capital to build New Zealand schools, hospitals or prisons is "off limits". "In relation to what's the mix of funding for the other infrastructure projects, I've got a mandate to be innovative. Phil Twyford's already got Treasury doing work to help him with the construction-orientated infrastructure, and that's why I'm keen for this infrastructure body also to have a key role in innovating how the Crown outsources some capital obligations on these projects. "Where do I think the bullet might bite? I would say obviously in the new infrastructure needed for KiwiBuild and the rollout of our 100,000 houses. "So, you'd have to imagine with the new corridor Minister Twyford's exploring — the Hamilton-Auckland corridor — I've got a lot of sympathy for where he's heading in his thinking. We've already got the sunk costs of the goldplated four lane highways, we already have a trunk line going through there. So, in terms of connectivity, we've got a lot of key assets that are legacy assets there. "It's certainly got my backing to look at innovative infrastructure spending options to create contributing suburbs and contributing towns." Jones stresses the standalone agency has to give confidence to industry and also local government and overseas participants. "I'm really keen for it to project a long-term pipeline of what we're going to fund and what at a local and national level of government is high on our agenda." He contends that if there is an independent entity it will attract people who may not ordinarily want to work in the Ministry of Business, Innovation and Employment, Cabinet Ministers' offices, or Treasury. "The upshot will be a blend of those of us who understand the stewardship nature of the taxpayers' money and others who are a lot more innovative." A trip to Australia in April to assess how that country deals with infrastructure projects convinced him he was on the right track. Both countries have already supported the creation of the Australia and New Zealand Infrastructure pipeline, which provides a forward view of public infrastructure activity across Australasia. Part of the reason Jones went to Australia was to test the appetite of its players to invest here. "I would say most of them are donkey-deep in New South Wales. There was no one who was totally disinterested, but the siren call came when people recited the woes of Christchurch; they felt they got burnt off in Christchurch — they couldn't work out who would make a decision." At issue is the parting of ways between the National Government and Plenary Conventions New Zealand — a private consortium made up of Australian-based firm Plenary Group, Christchurch's Carter Group and Ngai Tahu Property — over the Christchurch Convention Centre. 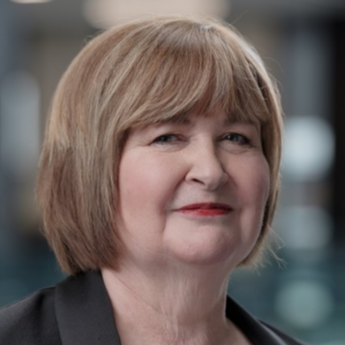 "Plenary told me how gutted they were by the Christchurch experience and advised me if you want trans-Tasman development in this field, learn the lessons of Christchurch — or just go to the rugby league and enjoy your trip to Australia." Jones says there will be an incredible body of work for the new agency to sink its teeth into. "So I've had to be upfront. But if you're asking 'is refined procurement approach a part of the agenda or the writ of this organisation? ', the answer is yes. "Will it radiate its influence to the silos of government? Absolutely yes. I don't think it's credible for the agency to totally eclipse what education and health are doing, but I've been mightily supported by senior ministers in those fields to proceed with such an agency to better guide both the delivery and architecture of a programme and the necessary contracts."